At Zizzz, we promise you that our products are made with 100% natural and sustainable materials. We also promise that they are produced as locally as possible and that no child labor is used in their manufacture. This is why, if you take a quick glance at our products, you’ll find the image displayed above. What is this? This QR code is actually its own product, which was created by a Swiss company called FairTrace. 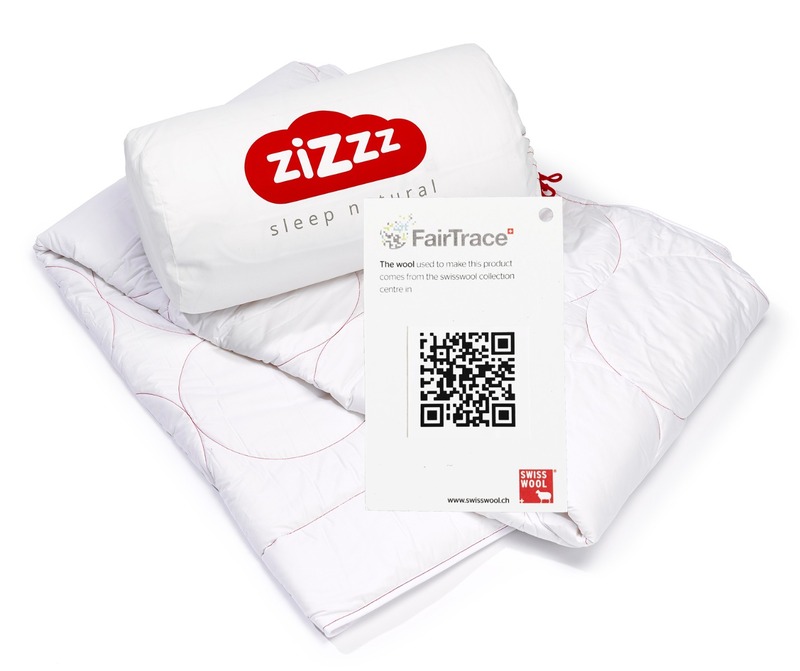 This patented software solution allows you to see the origin of our Swisswool, which is the primary material used in our baby sleeping bags and duvets, and trace it back to its source. We attach this QR code to our products to show that you can take us at our word. A quick scan of the code with your SmartPhone allows you to view information regarding every stage of the Swisswool’s production and processing. The QR also contains information on our GOTS-certified organic cotton, though it is not quite as detailed as that of the Swisswool.